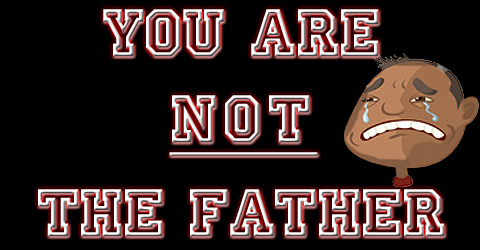 My obsession with FarmVille can’t be healthy… | You Are NOT The Father! As you can see, I have a pretty pimped out farm on FarmVille. While it isn’t as crazy extravagant as some of my friend’s who also play, it is pretty decent. What started as something I made fun of my brother and girlfriend for playing, has turned into an odd obsession. The game isn’t particularly special like “The Sims”. You can only make your little farmer plant and harvest crops. You can’t sit on chairs, you can’t ride horses, or can’t really do much but plant and harvest and spend hours decorating your farm. So why are we all addicted? Why do we status update our need for specific items, just to obtain ribbons? Just today my cousin asked all her friends (via status update) to only send her purple fences as free gifts. You see, requests like that just cut into my farming time. For starters, when I send gifts, I send the same gift to everyone. So you need a purple fence? Guess what? I am sending you all a Maple Tree. If you don’t like it? Sell it. But I don’t know why I am so drawn to a game that really doesn’t do much. Is it the competitive nature of it? No. If that was the case I would also be addicted to FishWorld or YoVille as well. But I am not. I can’t quite explain why I obsessively check on my grapes and animals. And I don’t think anyone who is as equally obsessed with the game can explain it either. YouTube Clip of the Day: Anjelah Johnson “Nail Salon” $25 dollars for this ugly piece of crap?